As many of our Creature Comfort Veterinary House Call Services clients have probably noticed, our website has been completely redone! We wanted to have a website where we could share useful information and resources with our current and potential clients in a user-friendly way. We also came up with a new logo and branding, which we feel conveys our deep love and passion for our patients. To better serve our clients, we have added some new features. Instead of having to go to your email to send us a message, you can simply fill out our contact form and someone will get back with you through email or over the phone as soon as they’re available. We also have an online form where you can actually request an appointment and we will call you to confirm or work with you to find an alternate day and time if we’re already booked. There is also a link that takes you directly to our online store on VetSource, where you can buy guaranteed safe, high-quality prescription pet medication. We have also included an about section that includes information about Dr. Mac, FAQs, and a blog that will updated monthly with relevant news and information. You can also check out our gallery page that shows some of the many wonderful pets we have helped over the years. At Creature Comfort Veterinary House Call Services mobile pet vet, we take pride in providing our clients with the utmost professional and personable care for their pets. We understand that there are many pet owners who cannot make it to the vet during regular business hours or who may have an elderly pet that they can’t just load into their car or even those who are disabled or elderly themselves and cannot drive. If you are a busy pet owner who has been looking for a way to provide your pets with veterinary care around your schedule, do not hesitate to contact us today! Take the stress out of visiting the vet! 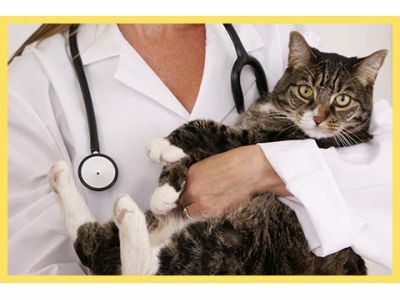 House call veterinarian services provide you and your pets with the utmost comfort and convenience. Call us today at (269) 569-5960 to set up an appointment!